Use fresh peaches in this quick and easy-to-make summery cocktail that’s perfect for alfresco dinner parties in the garden. Put the peaches, lemon juice and sugar in a food processor or blender and whizz until smooth. Pass the purée through a sieve (discard the solids), then divide among 6 champagne glasses. 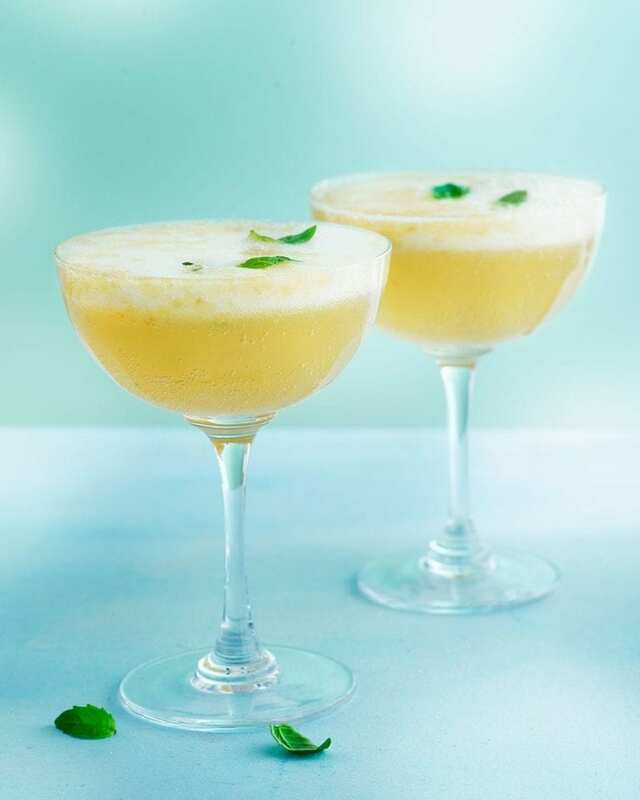 Top up with chilled prosecco and garnish with fresh basil leaves.